Magnified 1125X, this 1973 photomicrograph depicted an Acanthamoeba polyphaga protozoan cyst.Acanthamoeba is a microscopic, free-living ameba commonly found in the environment that can cause rare, but severe illness. Acanthamoeba causes three main types of illness involving the eye (keratitis), the brain and spinal cord (Granulomatous Amebic Encephalitis), and infections that can spread from an entry point to the entire body (disseminated disease). Endolimax nana cysts. Iodine stain. Giardia lamblia cyst. Iodine stain. 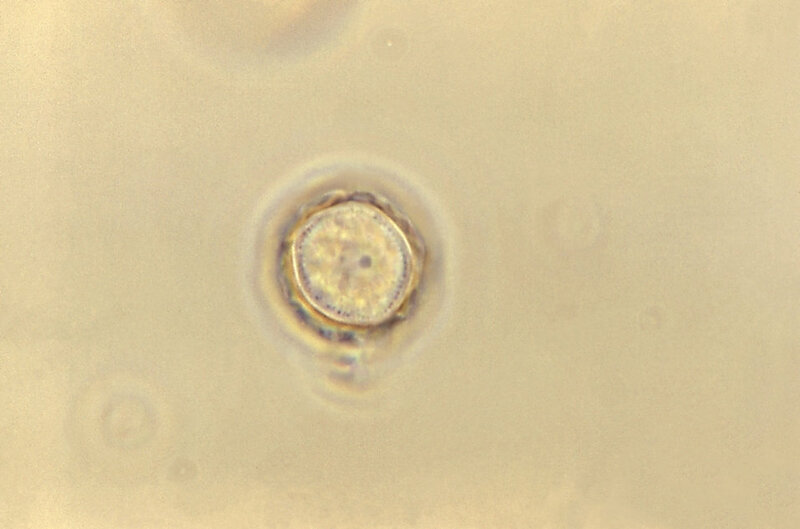 Balantidium coli cyst with Trichuris egg inside.